Sunset Marquis, the iconic West Hollywood hotel, was looking to drive summer and Labor Day weekend reservations, in addition to leveraging their strong UK and Australia-based business. GCommerce utilized lookalike audiences and geo-targeting techniques for prospecting targeting and various run of site audiences to remarket both domestically and internationally. 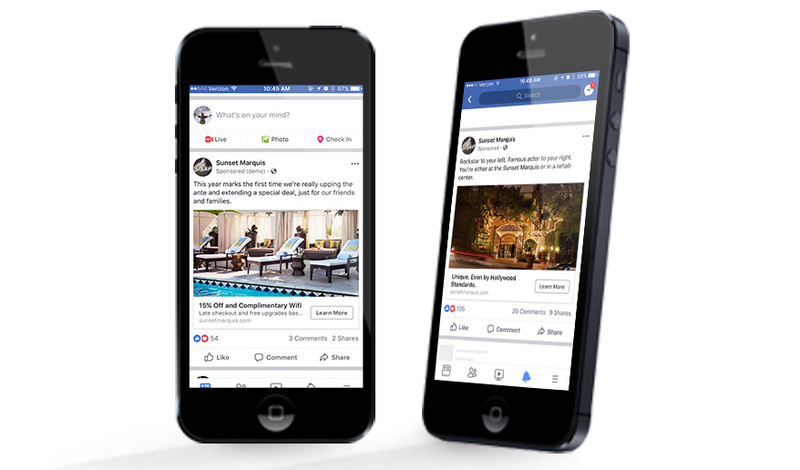 GCommerce created and deployed a Facebook and Instagram campaign that was visually compelling while embodying the hotel’s unique tone and personality with wit and humor. Within the month of August 2017, the campaigns achieved a 41X return overall.